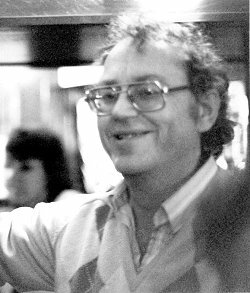 Keith Summers was probably best known as the founder of the paper magazine Musical Traditions, co-editor of the internet version, and for his recordings made in Suffolk in the 1970s. He was born on the upper deck of a bus outside Hackney General Hospital in December 1948, which made him a proper cockney. His mother had been on the way to visit her parents in Bethnal Green. Keith's father, Maurice, was from Langtoft, Yorkshire and his mother, Florence was from the East End of London. He also had a younger brother, Roy. The family moved out of London when Keith was about three and a half years old, firstly to Enfield and then a year or so later to Southend-on-Sea, which delighted Keith. He loved living there and soon became a 'Soufend' boy growing up on a road close to the sea. He spent his childhood days playing along the seafront. His three passions in life were football, sea fishing and traditional music and you could be sure that if he wasn't at work he would most likely be involved in one of them. He made life-long friends in all of those pursuits and, for Keith, the social side was important. He took great pleasure in having a pint with his mates afterwards. Keith followed Southend United all of his life. He was probably The Shrimpers' number one fan! He first went to football in 1957 when he was nine, to watch Southend United play Colchester (a local Derby). "There were 18,500 people at the match. Southend were top of the league and they lost 3-2." He was hooked after that and rarely missed a game for the next forty years; certainly not home games. For a time, while he was still in the sixth form, he became 'unofficial organiser' of the supporters club coaches. "There was a gang of about forty of us who went regularly, and a right bunch of hard-nut hooligans we were." He had many tales of clashes with opposing supporters, in the days when a 'punch-up' before or after the match was seen as part of the day out! Keith had an ability to effortlessly recall, names, scores and 'after match' activities with great accuracy and conveyed his enthusiasm for the team and the games to all who'd listen. Keith first went fishing when he was about ten. He fished off Southend Pier, mainly in the summer when the catches were better. He was a regular on the pier until he was nineteen when he stopped for various reasons, including becoming more involved in football and the music. He took fishing up again about fifteen years ago. He was a member of the Southend Angling Association and used to take part in competitions, in which he did reasonably well, occasionally making the local paper with his prize catches. The biggest fish he ever caught was a 17� lb skate, when he and John Howson went fishing from a boat out of Felixstowe. Again there was a strong community spirit amongst fellow anglers, which he always enjoyed. He recalled a highlight from a few years ago "We'd be there fishing at about 10 o'clock at night, when very often a group of a dozen or so members from an African or West Indian church or sect - most likely Yorubas, from Nigeria, who treat water as a divinity - came down onto the seafront where we were fishing. They would sing half a dozen songs before disappearing into the distance." This created a great stir amongst the fishermen, who thought they would scare off the fish, but Keith always found it fascinating. He recorded a Yam Festival, some months later, in a Yoruba church at The Angel, Islington, just down the road from Finsbury Park, where his partner of ten years, the singer Peta Webb, lived. Up there on a par with football was his life-long interest in traditional and traditionally inspired music. His first encounter with such music was whilst playing outside of the Army & Navy pub in Southend. His two best friends lived either side of him, another friend's father kept a cafe opposite the pub. They'd spend hours sitting on the pavement outside the cafe playing five-stones and marbles. In the summer coach-loads of cockneys would come down to Southend. After spending time on the beach or at the funfair, they would invade this pub. More often than not they would have a good old sing-song. Although it was mainly songs like Knees Up Mother Brown and Boiled Beef and Carrots occasionally they would sing traditional cockney songs. This could be heard from outside where Keith and his friends were playing. On Sundays he liked to listen to the Evangelical preachers, who used to have open air congregations along the seafront. These were always packed out. Many of them also had their own brass bands to accompany the hymns and Keith enjoyed listening to the hymn singing and the bands. Keith's first introduction to 'real' music was through listening to Lonnie Donegan. He immediately realised that the music Lonnie played was "something different - something real". A refreshing change from the light entertainment usually broadcast. Inspired by this, Keith played the washboard in The Five Aces, a five-piece skiffle band formed from his class of 11 year olds at Thorpe Primary, just down the road in Thorpe Bay. They played two shows on 'breaking up' day. He went on to attend Southend High School for Boys and in his class was a boy called Jock Kilpatrick. They became good mates and were both rebels in their own sort of way. At the age of thirteen Keith did a paper round, and an older boy with long hair and a leather jacket, who marked up the papers and was "dead impressive", showed Keith some records that he'd just bought - Bo Diddley's The Gunslinger and Muddy Waters' Greatest Hits. These interested Keith straight away, because a few nights earlier he had heard Howling Wolf sing Smokestack Lightning on Radio Luxembourg - which he later described as 'life-changing'. Keith and Jock, "more out of perversity and to be different from what everyone else was doing" began to buy blues records. Soon they had quite an extensive collection of obscure imported post and pre war blues. At that time they were quite cheap and Keith was buying a couple of blues records every week, paid for by his paper round. He always had a part-time job and bought "loads and loads of records". Although they were well under age, Keith and Jock began going to the local pubs to listen to the music. On the first occasion they saw Champion Jack Dupree, the great New Orleans barrel-house pianist. They later saw Freddie King, a blues singer from Texas. Keith rated that evening very highly, not least for Freddie's ability to play guitar and roam around the venue, thanks to a very long lead! The pub was jam-packed. Southend developed a great music scene during the sixties and seventies. There were gigs all over the place from church halls to pubs and cinemas. There was not only pop and rock but jazz, folk, blues, country and R&B. Apart from local bands there were many touring artistes and Keith saw most of them, including the Beatles, The Stones, The Animals, Carl Perkins, Bo Diddley, Rev Gary Davis and, a particular favourite, the legendary Texas guitarist, T-Bone Walker. T-Bone played the guitar behind his head, did the splits and all manner of things theatrical. His band included John Mayall, Eric Clapton and Mick Taylor. When Keith was about fifteen, he and Jock were in the record store in Southend, and to avoid being a wallflower whilst Jock chatted up the girl behind the counter, Keith picked out a record to take to the listening booth. By chance he had chosen one from the Harry Smith 6 LP set Treasures of American Folk Music. That was the first time he'd heard American old timey music. He'd chosen it because he recognised some of the bluesmen on it. "What an introduction - I couldn't have picked anything better." Keith bought the set there and then and so began a life-long love of old timey music. In the late sixties Keith regularly travelled up to Colletts Records, a specialist shop, in London, where he got to know Hans Fried, who ran it. "If he knew you were interested he'd go out of his way to point you in the right direction". He always had music playing in the background and one time when Keith was in the store, he heard a fiddle record playing over the speakers. He asked Hans about it and found out that it was Martin Byrnes - the first release in Leader's Masters of Irish Music series. It was a revelation to Keith to find that that the music he'd enjoyed listening to had been played and recorded in London. Hans suggested that if he liked that he might enjoy the Folksongs of Britain series, just released by Topic Records, because they had English songs on them. He gave Keith an LP to take home and listen to and, by chance, there were recordings of Bob Scarce in The Ship, a pub in Blaxhall, Suffolk. Keith was unaware of English traditional singing, expecting it to be the sort of thing sung at school like, Do Ye Ken John Peel. He was "blown away", never hearing anything quite like it before. Reading the notes he couldn't find any information about the background of the singers. He began to delve around to try and find out about English traditional singing and Blaxhall Ship in particular. He went to Cecil Sharp House, visiting the Folk Shop. There he found lots of books of songs, which didn't answer his questions, but he did find a few magazines that referred to the English tradition. It seemed it was similar to the blues and old timey traditions, but it had long died out. He couldn't understand how, if the tradition had died out, Blaxhall Ship had at least seven singers in the pub when the recordings were made in 1953. He didn't think much more about it until 1969, when he booked to go to the National Folk Festival at Loughborough University. He had gone to see Lizzie Higgins and Stan Hugill, but there was a Suffolk singer there called Percy Webb. Keith had just bought an antiquated portable reel-to-reel tape recorder to make recordings of the events he attended. After chatting to Percy, Keith made arrangements to visit him at his home in Tunstall to record his songs. Using public transport, this involved a 3 mile walk from Campsea Ashe to Percy's, and on the way Keith passed a signpost for Blaxhall. Before then Keith didn't know where Blaxhall was; it wasn't on his map. Keith made numerous visits to Blaxhall over the next eight years. He met and befriended many local traditional singers and musicians, arranging for his friend, Tony Engle, of Topic Records to go and record them. Peta Webb was also present at some of the recording sessions. Keith, who was spending weekends and annual holidays in Blaxhall and other villages in Suffolk, was finding so many singers that Tony eventually loaned him a Uher tape recorder with instructions on how to use it. Keith was then free to do 'spur of the moment' recordings. Topic Records issued LPs of Cyril Poacher, Jumbo Brightwell and the Ling family with which Keith was closely involved. The Earl Soham Slog and Sing, Say and Play featuring Keith's Suffolk recordings, were also issued by Topic. These were in conjunction with Keith's survey of East Suffolk country music which was published by Alan Ward in a 64 page double issue of Traditional Music, Nos 8 & 9, Late 1977/Early 1978. Derived almost entirely from conversations with musicians and singers, Keith profiled some of the many traditional performers he had recorded in East Suffolk during the previous seven years. Using family photographs and background information he placed them in context with fellow singers and musicians proving that the tradition had not died out but was still very much alive. Keith insisted that he was not a folk song collector, referring to himself as "a recorder of traditional music". He had little or no interest in different versions or origins of songs he'd recorded. He was interested in the singer, why they kept it going, how they kept it going - singing in pubs, singing at home to their families. That's what interested him, primarily singing in pubs. As he discovered, there was a network of pubs in Suffolk where the musicians would go and entertain. The singers tended to stay in their own locale, but the musicians would travel around the area to entertain, and he found that fascinating. His genuine interest, easy manner, ability to chat on all levels and endless enthusiasm eased his acceptance into the tight-knit communities of East Suffolk and later, Co Fermanagh. Although an enthusiastic amateur, his breadth of knowledge and ability to communicate what the music meant to him, ensured he was respected by his peers and accepted by the academic establishment. Keith couldn't stand the comfy, cosy, 'good old boy' village character. They held no interest for him. Keith "liked the difficult, awkward ones like Cyril Poacher and Bob Scarce". Many of his friends and singers still had a great presence and commanded attention in a noisy pub. They had been tough men in their younger days. A hard working life, sometimes making a living on the edge of the law, made them and their songs more interesting to him. He travelled far and wide to listen to traditional music. In 1976, he and few of his friends from Southend, travelled to Washington to go to an Old Time Fiddlers Convention. They had no definite plans but within hours of arriving at the convention, Keith had struck a friendship with a young teacher called Gary Dean Poe, who was also on holiday. "He was very interested in the traditional music of the Appalachians, which was where he lived. He invited us to go and stay with him in his house in the mountains, for as long as we wanted and he said he would take us out every day to meet some of the well-known musicians. Well, the next day, as good as his word, he was there banging on the door to pick us up! We went off with him and he took us out every day. Four musicians a day we went and saw. I didn't record them because their music had already been well documented." A highlight for Keith was spending time with Tommy Jarrell and his brother. He went back to America some years later, this time to Mississippi where he trod in the footsteps of his Delta blues heroes. On the most recent trip, aware it was to be his last, Keith went to Chicago where he spent his time in the blues clubs and polka bars. Keith became a familiar face at traditional music events around the country, among them The English Country Music Weekends, Sidmouth Festivals and The National. He was invited to talk about his collecting at several of these. He also frequented many of the Irish music venues in North London. Painfully shy as a young man, he never pushed himself forward, content to sit with a pint and cigarette and listen intently to whatever was going on, although after a few beers he had been known to break into song. Keith had stopped recording by the late 1970s. Many of the elderly singers and musicians that he'd met in Suffolk had died or moved out of the villages into sheltered housing. Undaunted, he channelled his energy and enthusiasm into producing and editing Musical Traditions magazine. During the 1970s there had been two influential and informative magazines, Old Time Music, published and edited by his friend Tony Russell, which profiled American old time musicians, with interviews, photographs and reviews, and Traditional Music, edited by another friend, Alan Ward. Traditional Music covered the music of the British Isles in a similar format, appearing in 10 issues between 1975 and 1978, when it ceased publication. Keith, who had a much wider interest, seized the opportunity to produce a magazine in a similar format, that featured traditional music without the restriction of a specific area. With the by-line, 'Devoted to new perspectives on traditional music', its approach was ground-breaking. Musical Traditions No.1 was published in mid-1983 with contributed features on Armenian Fiddler, Reuben Sarkisian; Irish uillean piper, Seamus Ennis; The Tommy Talker Bands of the West Riding of Yorkshire and an article on The Socio-Political Songs of Norfolk singer, Walter Pardon. The magazine also became famous for its old and unusual photographs. The subjects of its articles and record reviews were extremely varied and spanned the world. Keith also published Keskidee, a journal devoted to black musical traditions. It was a stable mate of Musical Traditions, but although it received wide acclaim, it only lasted for three issues. Musical Traditions was published sporadically until its last issue No.12, in late 1994 when it ceased, due to high production costs. A critical success, the magazine could no longer cover its costs and had been kept afloat primarily by Keith's enthusiasm and financial input. Keith was pleased when Rod Stradling approached him with a view to continuing Musical Traditions but as an internet version. Keith agreed to be co-editor although, he confided in me recently, he had no idea who would look at it. At the time he didn't know anyone with the necessary technology to access it. The online Musical Traditions has successfully embraced the benefits of online publishing whilst keeping to the spirit of Keith's original concept. Musical Traditions also published two very important supplements. The first, in 1985, was Many a Good Horseman, John Howson's survey of traditional music making in Mid Suffolk. It was published in conjunction with a double cassette issued by John Howson's Veteran Tapes. John had moved to Suffolk in 1978 and using Keith's Sing, Say or Pay! as inspiration, began to research and record traditional musicians and singers in Mid Suffolk. 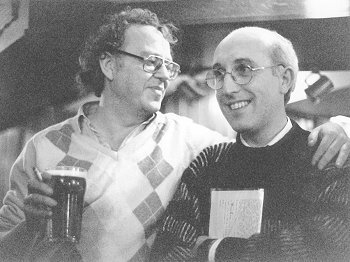 John and Keith became good friends, sharing and swapping information and ideas. MT Supplement No.2 appeared as a soft cover pp.150 A4 book in 1990. I Never Played to Many Posh Dances was Reg Hall's much awaited biography of the legendary Sussex musician Scan Tester. It was published in conjunction with a double LP of Scan and fellow Sussex musicians issued by Topic. Musical Traditions also produced its own cassettes, featuring Freddy McKay, Sam Larner, Billy Harrison with Jim Eldon and Peta Webb. The Old Timey series was five volumes of music from the Twenties and Thirties, captured on 78rpm discs. Keith also distributed cassettes from otherwise unknown or difficult to purchase labels. Keith co-founded the Musical Traditions Club with Ken Hall and Peta Webb in October 1990. In the spirit of Musical Traditions magazine, the club, based in The King and Queen, Foley Street, London, presents the finest traditional singers from Britain and Ireland in a friendly and appreciative atmosphere. Past guests have included Len Graham, Gordon Hall, Fred Jordan, Elizabeth Stewart, Sheila Stewart, and Roisin White. Ken Hall described the search to find suitable premises for the club as "the biggest pub crawl in history". As a qualified accountant, Keith worked at three small companies around his home town of Southend-on-Sea. He was at one of them, Magnolia Mouldings, a Rochford company that made picture frame mouldings, for twenty years. When they opened a branch in Northern Ireland in the late seventies, Keith travelled back and forth over a four year period to set up the accounting side. He took advantage of this opportunity to search out, spend time with and record traditional singers of the area. Some of those recordings have recently been issued on Musical Traditions as The Hardy Sons of Dan: football, hunting and other traditional songs from around Lough Erne's shore. His last job was working for Densitron Microwave who made parts for mobile phones. When they were taken over by an American company, Keith had to travel on business to the United States. He always tried to ensure that the visit coincided with a music event or festival. Another interest of Keith's was photography and many of his superb photographs of traditional performers have been published over the years. Keith was always generous with his photographs, as he was with his recordings. Some twenty years after he'd stopped actively recording, the National Sound Archive, part of The British Library, began a concerted effort to add to their collection of English Traditional Music. Keith was very proud that his recordings, the bulk of which were made between 1969 and 1975 on his antiquated reel to reel recorder, were included in this National Collection. In exchange for the originals they gave him CD-R copies. Keith, who in many cases hadn't heard the material since recording it, was surprised at how good they sounded. He became re-enthused by this and began planning several CD releases. He was pleased to be one of Reg Hall's team of presenters of The Traditional Music Hour that is broadcast on Resonance FM radio. Keith presented three programmes, using his vast personal archive of LPs, cassettes and CDs, linked in his easy and informative way. His first programme which was broadcast in December 2002 drew on Christmas traditions. The second programme featured Brass Band music and was broadcast in early 2003, and the last one, Songs Sung at Work, was broadcast December 2003. Keith loved doing the programmes and when somebody pointed out to him that he couldn't know who was listening, his response was immediate. "I don't care who's listening, I'm listening!" Keith was delighted that the programme was available to the world through the internet, but baffled by the technicalities of it. I first met Keith back in the seventies. We shared the same outlook on the music and song and our paths crossed many times. About four years ago, quite out of the blue, he phoned me to tell me he had been diagnosed with cancer and asked me to write his life story. I agreed, hoping above hope that I would never have to. Since that time we had spoken almost weekly on the phone, swapped obscure personal recordings, and became good friends. I was especially pleased to transfer some of Keith's recordings onto CD for him to listen to. In many cases they had no information with them. He was delighted to hear them again and recalled with great clarity who was playing or singing. I just hope that he wrote it down! I worked closely with him on his last production, The Hardy Sons of Dan. As his illness progressed, his enthusiasm remained undaunted. He had an encyclopaedic knowledge of blues, old timey and traditional music and was still writing reviews and submitting letters and articles on many different aspects of the music. He had many new CDs planned, among them two made up from early 78rpm recordings featuring songs and tunes from the days of the medicine shows and blackface minstrels. He knew these would rattle the cages of the Politically Correct brigade. He never lost his dry sense of humour or that rebel streak. I visited Keith in his bungalow in Southend in October 2003 and again in January 2004. These were social visits and a chance to record some of his stories about his life and his collecting. The first time I placed the microphone in front of him he said, "Well, the ball's on the other foot now, isn't it? Now it's my turn." He had an interesting story to tell; I hope I've done it justice. Keith was an inspiration. All who knew him will be saddened by his untimely death, but we will have memories of him to help us through this difficult time. Thankfully, Keith has left an important legacy of recordings, writings and publications, and his unique personality shines through all of them.